A park is basically for people to come and relax, enjoy and spend some time away from the routine of their homes and work. 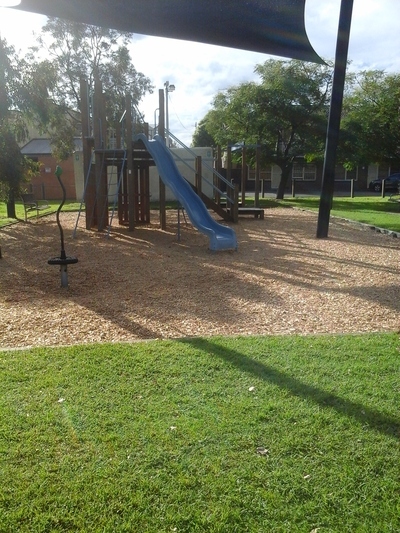 Edward park structure has a huge wave slide, steps and chain climbing frame, high scrambling wall, fireman's pole, ladder, flying fox and monkey bars. Wave slide: Children will enjoy hours of fun and adventure with this Cool Wave Slide. Wave Slides are fast and fun and children like them. Chain climbing frame: Kids can burn up a lot of energy while enjoying this challenge. Perfect for those who love to climb. Fireman's pole: Children love to slide down from these. 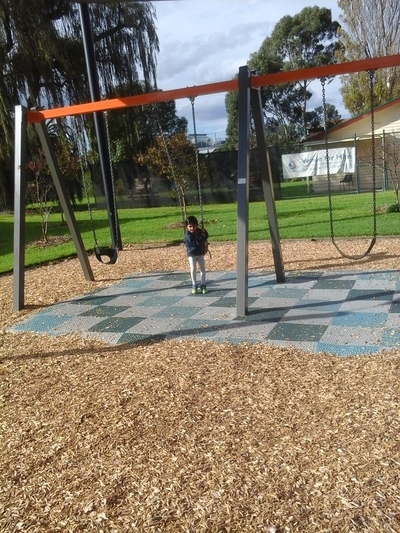 **Swings: There is plenty of play space to keep your kids fit and entertained. You have a choice of the three swings. Edwards Park is the perfect place to enjoy a delicious picnic with your lover, friends or family. There's also a rope spiders web climbing frame and two horizontal bars plus metal slide with steps. People love to go to any park. If you love sport, it's a good place to practice instead of breathing polluted air in a city. In Edwards parks, you will be able to breathe fresh air. 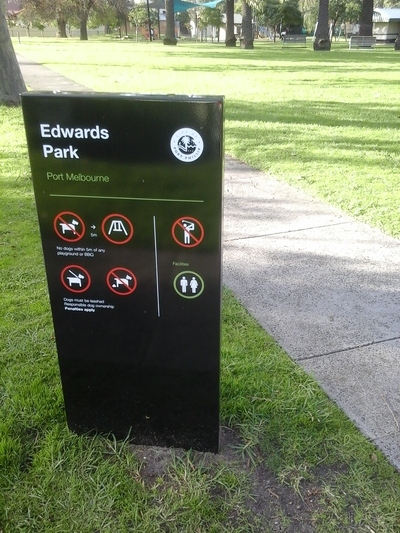 The 606 bus route travels along Liardet street and passes the gardens directly and the 250, 251 and 253 can be accessed from Bay street Port Melbourne, Edwards park is one block walk along Liardet street. 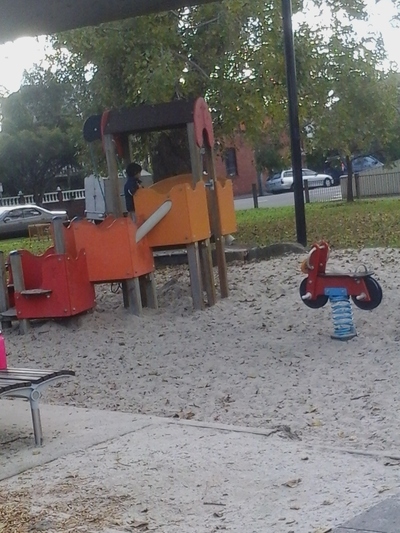 Edwards Park has a large sandpit with a multi level structure with a scoop plus two springers. This has always been one of my favourite places in the city.